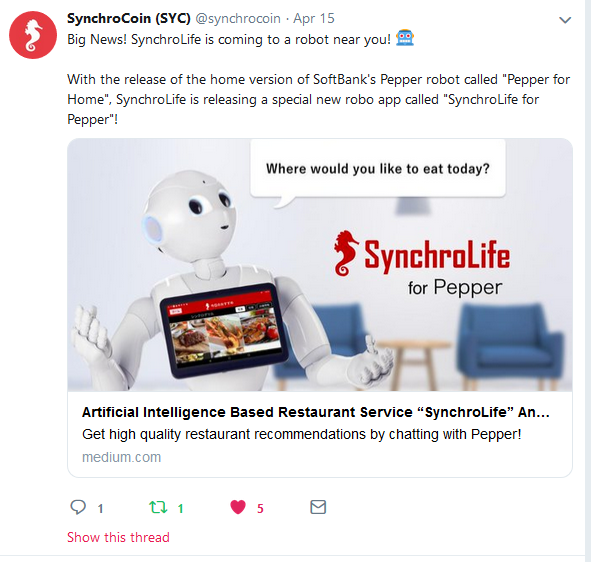 SynchroLife is finally rewarding food lovers for their valuable content, all using tokens! Users are rewarded tokens for high quality restaurant reviews, food and restaurant photos, corrections and edits to restaurant information, as well as the translation of restaurant information. Users will also receive a percentage of the advertising fee from restaurants they’ve contributed to! With new restaurants opening and closing daily, it’s difficult for any one company to centrally maintain and edit this information. SynchroLife’s token economy incentives users to help to maintain and grow the decentralized restaurant information database by adding new restaurants, marking closed restaurants, and updating any changed information. Get personalized recommendations thanks to artificial intelligence! SynchroLife learns your food likes and dining preferences from your actions within the app in order to “Synch” with you to make finding a good restaurant fast and easy! Search results, rating timelines, and daily recommendations are all personalized to you!